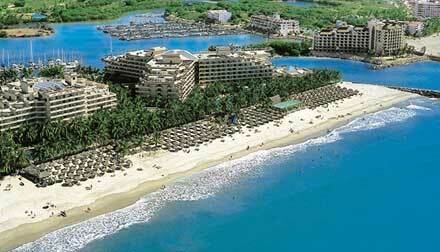 On this date, Final Straw left Paradise Village in Puerto Vallarta to cross the Pacific. Aboard was our crew of four, with good representation of both experience and strength. A crew of four is ideal on a long passage like this. It allows for shorter watches and an opportunity for rest and relaxation. Since someone needs to be "on watch" at all times, 24 hours per day, having four crew aboard means each person would be "on watch" for three hours and "off watch" for nine hours, two times per day! That makes life at sea pretty easy and a lot more fun. Terry Willis, who had already accompanied us from San Diego to PV in January 2001. Terry has done many yacht deliveries along the West coast and obtained his USCG 100 ton Master’s license by the time we made the trip. John Prentice, an experienced racer and cruiser and current owner of the famous racing boat Scarlet O’Hara. John joined us for the personal experience of a South Pacific crossing. He’s done several Transpac races (LA to Honolulu) and plans to make this same crossing in Scarlet in 2004. Kevin Straw, designated First Mate, surfer, adventurer and all around strong aquatic athlete. It was great to be able to have Kevin join us. He put his work at Mission Bay Aquatic Center aside and stayed with us all the way to New Zealand. He was tremendous help to Suzy and me. He was willing to do the hard work and go on deck in nasty weather to secure a line, etc. He was always the one that jumped in at an anchorage to check the set of the anchor. We really enjoyed having him with us. 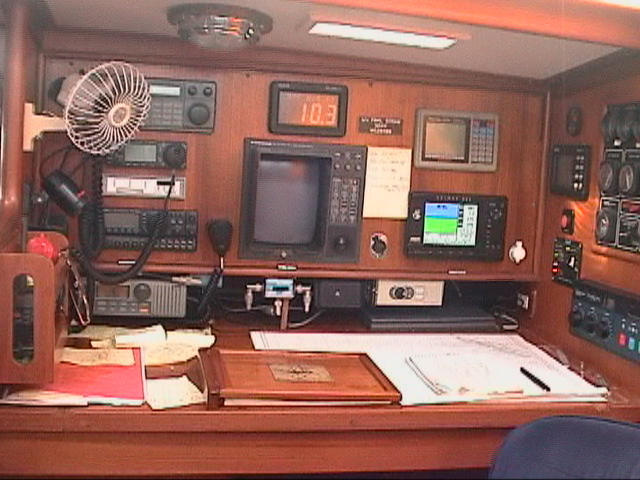 When he got back to San Diego in 2003, he passed the test for his USCG Master’s license. Clark Straw, owner and Captain of Final Straw. This passage was the fulfillment of many years of dreaming about crossing the Pacific and visiting the islands along the Coconut Milk run on my own boat. It involved many year’s of preparation which culminated in securing a USCG 100-ton Master’s license in July 2000. So, needless to say, we had a really good team of four! This leg of our trip is by far the longest. It’s 2800 miles! At one point, you find yourself completely out in the middle of nowhere, 1400 miles from land, which is the farthest point away from terra firma anywhere on the planet. It’s a long way from help! To keep in touch with the rest of the world, we used e-mail through the Winlink system and HF radio extensively. This allowed us to stay in contact with other cruisers, to obtain critical weather information and to update our boat position directly to the internet so friends and family knew where we were on a daily basis. Nav Station - Control Central! To help facilitate all of this, we joined The Pacific Seafarer’s Net which meets every evening at 0330 UTC on 14.313 MHz. These dedicated hams volunteer their time to track the Pacific ocean crossings of small boats. Their invaluable contribution adds to the safety, security and comfort of an undertaking like this. We joined the roll call and gave them our position and additional information about course, speed and local weather observations each night. It became an enjoyable ritual to listen to the other check-ins and see how everyone did on their day’s run. The Net also provided a telephone patch service so we could actually talk home (for free, I might add) despite the fact we were thousands of miles out to sea! Below, is a copy of the map which shows the track of Final Straw’s actual position as we crossed the Pacific. This appeared on the Pacific Seafarer’s Net website and was available to anyone keeping up with our progress. Just a few comments about the chart above. The numbers represent the date we reported our position. The direction of the line shows our course heading. The length of each small line represents our relative speed. The breaks in data are the shorter legs on our passage where we were at sea less than 48 hours and didn’t join the PSN roll call. The long lapses in time represent the time we were at island anchorage’s. And the two data points up near Hawaii were data entry mistakes where someone transposed our South latitude to North latitude (a common mistake for Americans used to using northerly latitudes)! 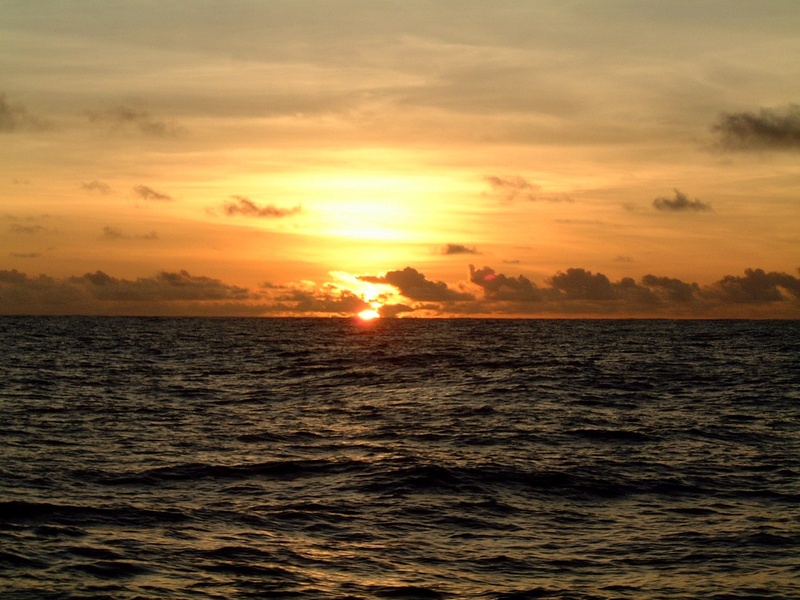 During this leg, we had generally good weather and wonderful trade winds. There was an occasional squall. But nothing too serious. What we did see often were incredible sunsets! "Got out of town on a boat goin' to Southern islands. And the downhill run to Papeete. We got eighty feet of waterline nicely making way." But it's as big as the promise, the promise of a coming day." How appropriate it was as we headed for the Marquesas on the same track they took years before when the song was written. We made it to the equator in twelve days. We crossed early this evening and recorded the ceremony on video. 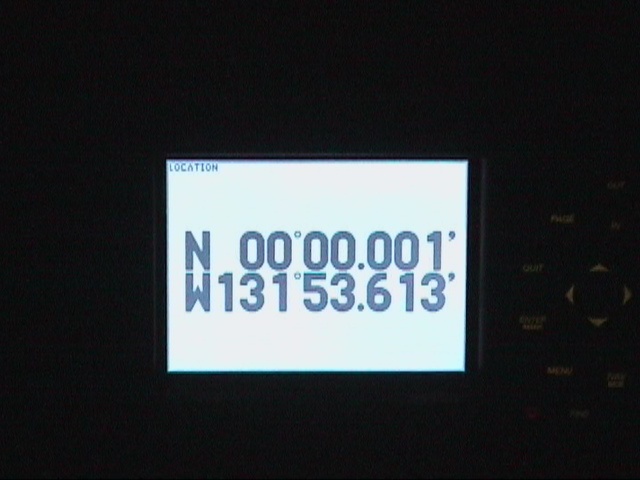 We paid homage to King Neptune for our safe journey so far and watched the GPS flip it’s N to an S as we traveled from the Northern to Southern hemispheres across the imaginary line that separates the two. Our 2800 mile passage was pretty fast thanks to some innovation by Terry and John to try using double headsails in the tradewinds coming off our starboard aft quarter. 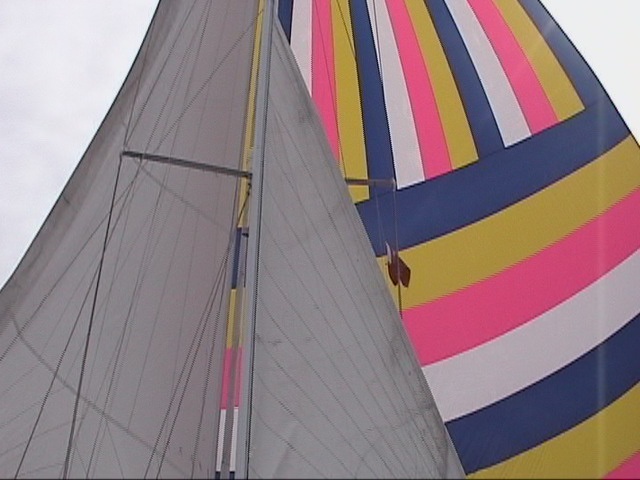 The idea was to tie a block at the end of the boom and use it to hold the spinnaker sheet outboard on the starboard side. On the port side, we poled out the jib in a standard wing n’ wing configuration. 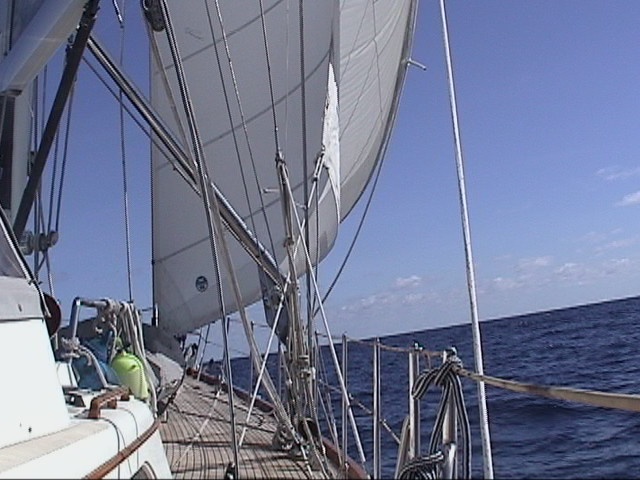 For stability and to minimize roll, we triple reefed the mainsail. This combination worked spectacularly well and we had our best daily runs when we could use this configuration. 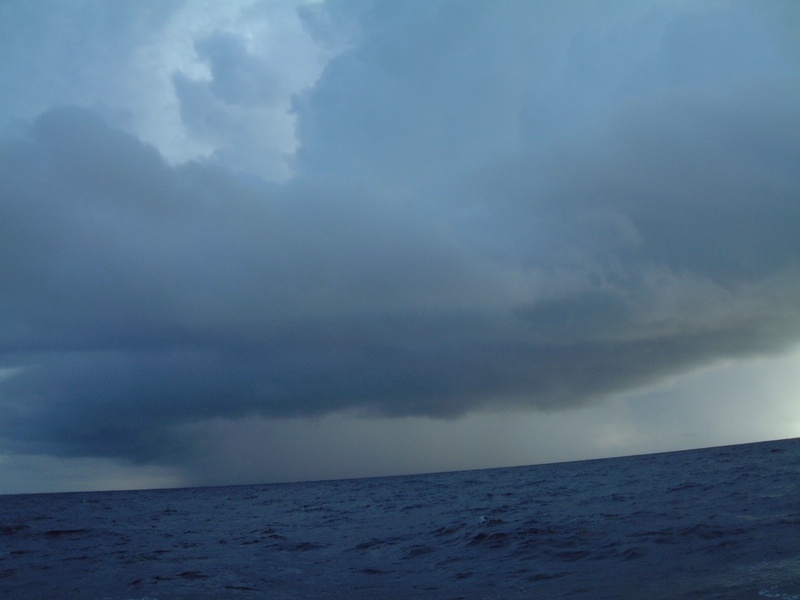 Unfortunately, we paid for it one night when we were hit by a squall with all this sail area up. It naturally happened at 2:30 am and it took all hands on deck to get the big spinnaker down before something broke. Fortunately, we were successful! After 16 days and 23 hours at sea, we finally saw land! 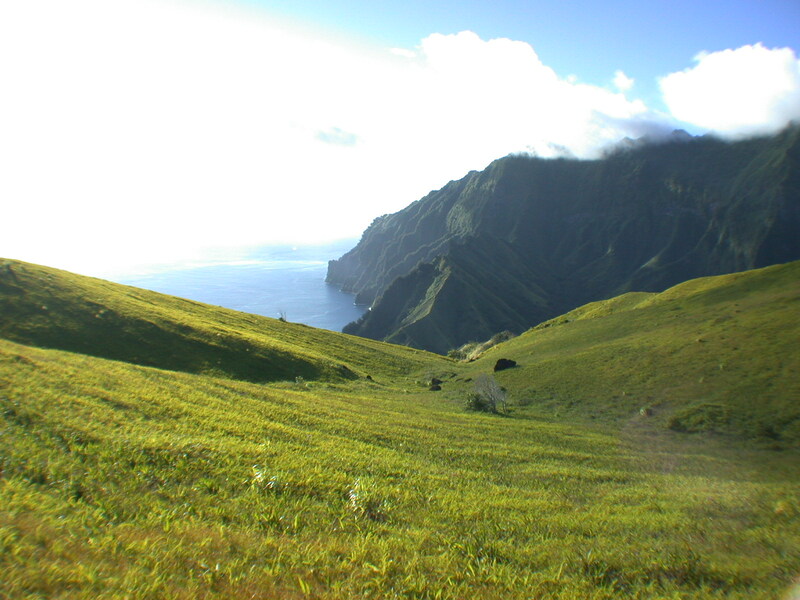 Ahead of us was beautifully green Hiva Oa! To continue the adventure on to the Marquesas, click here! To go back to the home page, click here!